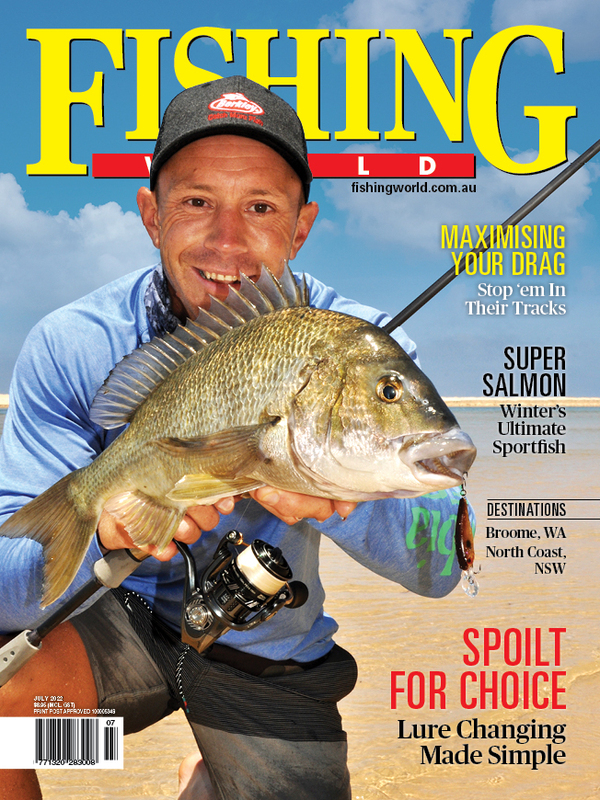 HERE are the February entries we've received so far for Fishing World's Fishin' Chix Photo Comp. Girls, we'll announce our first winners in coming weeks, so make sure you send in your fishing photos now to win some great prizes courtesy of Fisho! 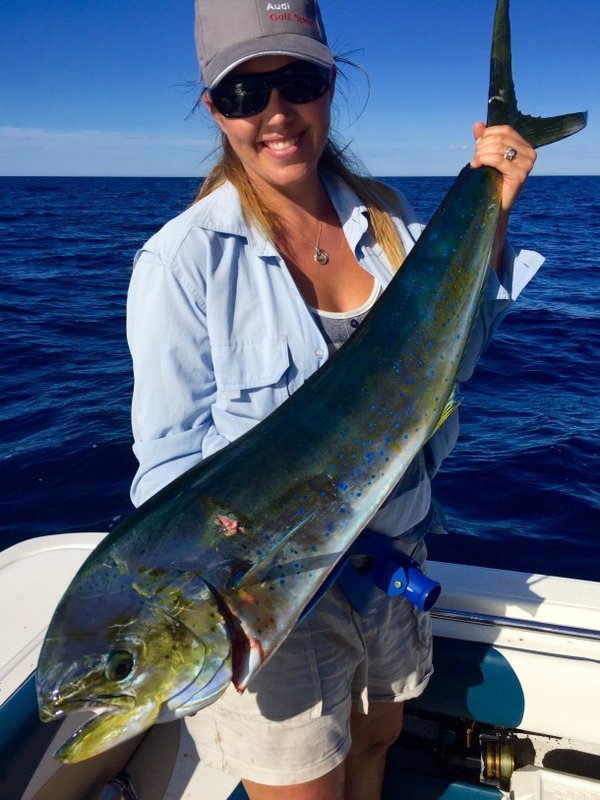 Shannon Garner caught this mahi mahi while fishing with her husband 16kms offshore at Coffs Harbour. Liesa Wenham with blue groper caught on a cooked prawn last Christmas day off Trial Bay on the NSW mid north coast. 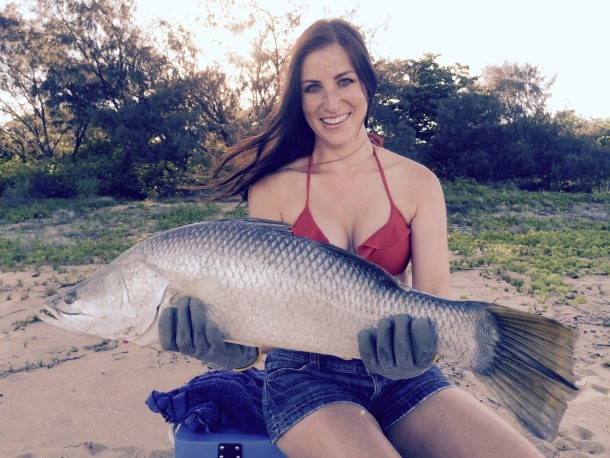 Lauren Smith went fishing off the beach at Toomulla NQ with her boyfriend and his mate on the opening day of barra season this month. Lauren out fished the boys, landing her first ever barra with her first cast. It measured 83cm. Nice barra Lauren! 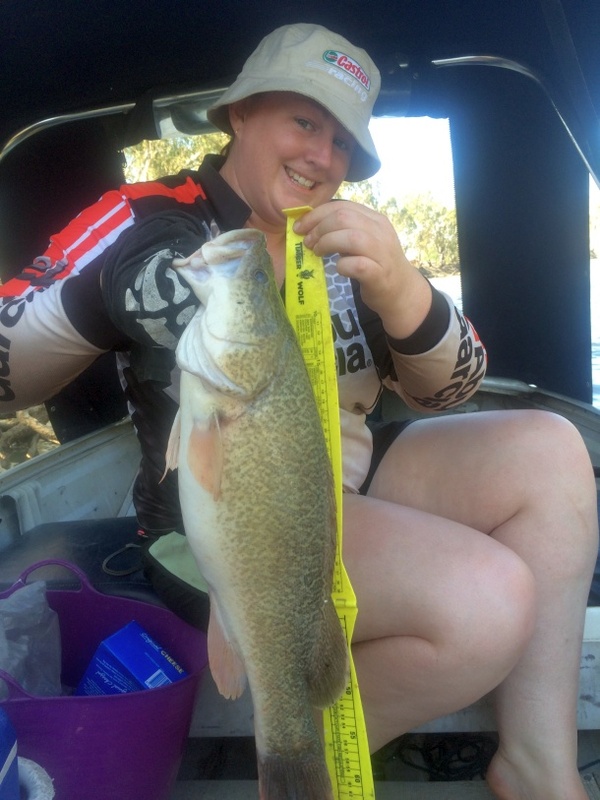 Desiree Hibbet went fishing on the Murray River at Murrabit in Victoria where she caught this nice 63cm Murray cod on a cheese bait. 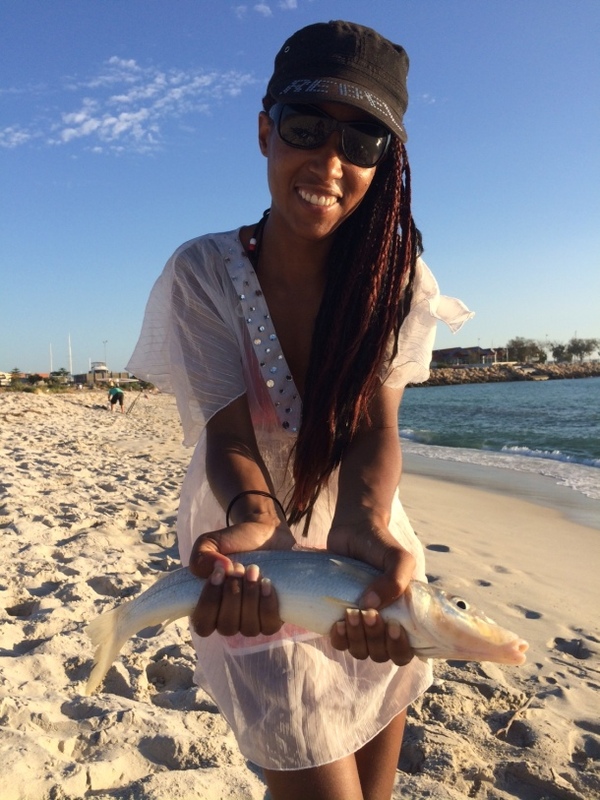 Melissa Hamiltion says she's new to fishing and was understandably very happy about catching this 50cm whiting at Hillary's Bay in WA. 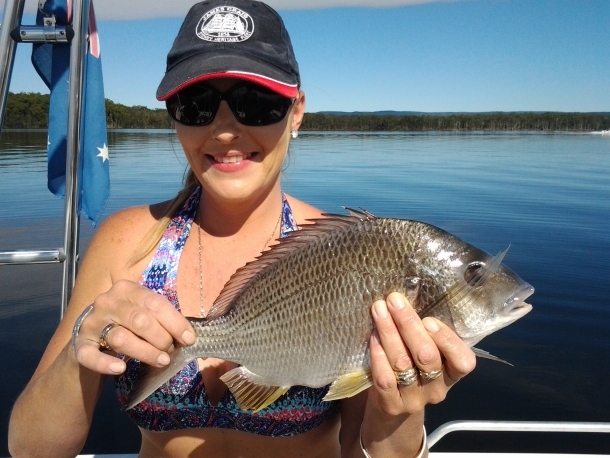 Nick Waterworth sent in this pic of wife Shellie with her 38cm St Georges Basin bream – "not bad for her very first attempt at soft plastic fishing," said Nick. No arguments here! 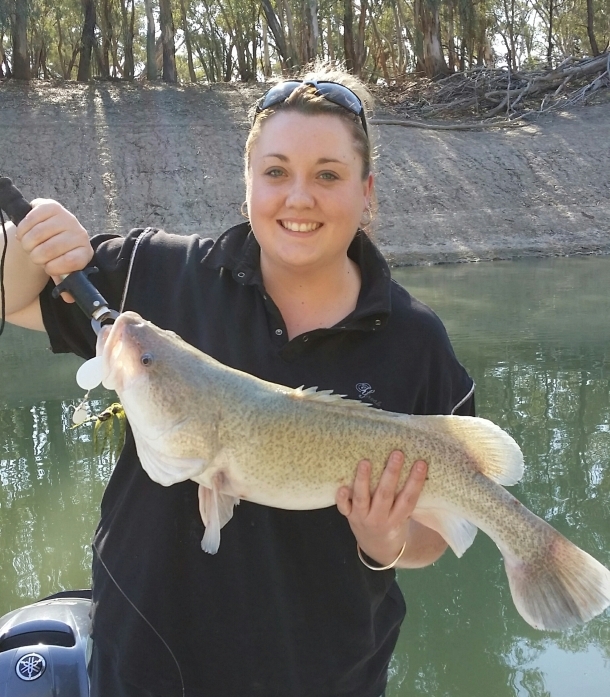 Colette Bessell of Broken Hill Caught this ripper PB cod in the Darling River in the Pooncarie area. 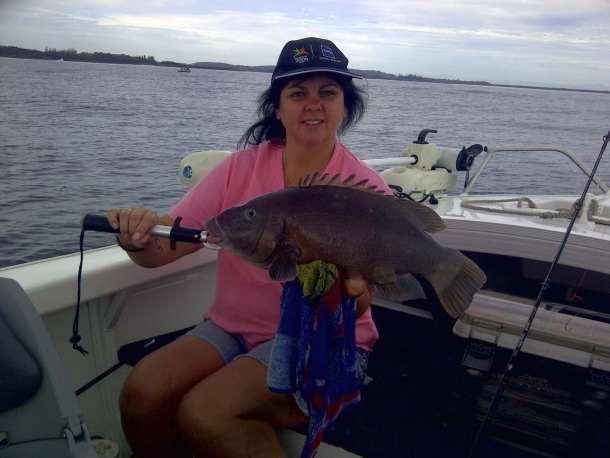 Colette says it was 70cm and caught and released after eating a Fish Coop Tackle Spinnerbait.